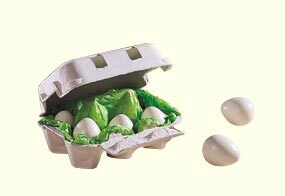 An egg carton with 6 wooden eggs for kitchen or market play. European beech painted with non-toxic paint. Egg measures 1.5" long.